You may have seen this movie pop up in a list of streaming movies before and thought “Wow, Arnold did a zombie movie? Named Maggie? I wonder how that turned out…” Well, Bryan and Sam watch in horror as people sit quietly around the dinner table, work on their trucks, and complain about smelling delicious hamburger. 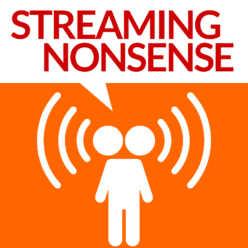 This premiere episode of Streaming Nonsense hosted by Bryan Mission and Sam Brown presents the timeless story of over-attractive college students vs zombified woodland fauna.